Little Moons (www.littlemoons.co.uk), an artisan producer of mochi ice cream, has launched a beautiful range of luxury desserts that are made by enrobing the finest gelato with a delicious layer of traditional Japanese mochi. The distinctive chewy texture of mochi has earned it both cult status in Japan and a celebrity following, with a huge number of A-list fans, from Kendall Jenner, pop sensation Harry Styles to super model Heidi Klum. 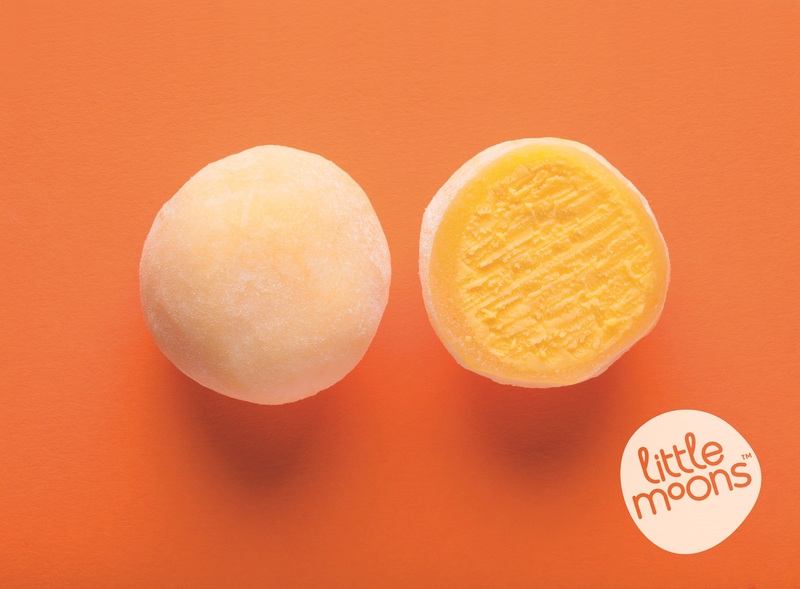 Produced from pounded and sweetened rice flour, this delicacy has been eaten for over one thousand years in its home country and now Little Moons is on a mission to put mochi on the map in the UK too. Traditionally filled with a sweetened red bean paste, Little Moons has updated the classic mochi recipe by adding artisan gelato in six contemporary flavours. Each soft sphere of scrumptiousness has a delightfully chewy outer edge and an indulgent and smooth gelato centre, a combination of contrasting textures that makes each mouthful so unique. We had the delight of trying these sumptuous flavours and while every single flavour will put a smile on your face, our favourites are the mango and the raspberry! Macha Green Tea – Delicious mochi on the outside and tasty macha green tea on the inside, you can taste the stunning flavours of the green tea as the delicious ice cream melts in your mouth. If you don’t really have a sweet tooth, this is ideal. 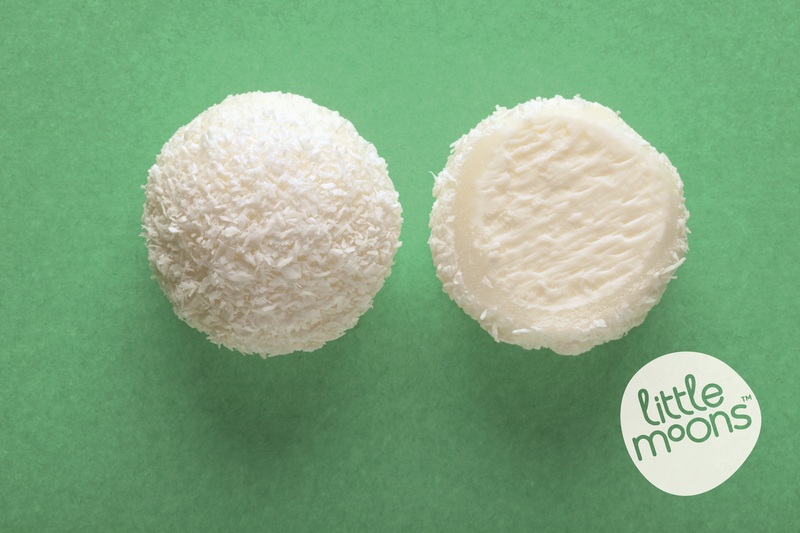 Coconut – Lashings of fresh coconut cover this ball of delight, lots of coconut deserts are too sweet, but these are not. Perfectly balanced with fresh coconut, with a creamy centre. The slightly chewy mochi outer coating allows the flavour to linger in your mouth. Toasted Sesame Seed – Sesame seed ice cream is a traditional Japanese desert and for sesame lovers this is a real delight. Sesame ice cream coated in mochi, enrobed in real sesame seeds to give it that lovely crunch. Raspberry – These tasty little balls are bursting with flavour. The ice cream tastes perfectly of the real raspberries it is made from and as you sink your teeth into this delight, your tastebuds water. A Heart London Magazine favourite! Mango – Just like the Raspberry, the mango is bursting with flavour. The mango ice cream tastes like the mangos have been picked fresh from a tree. These wonderful balls mix the moreish taste of mango with mochi. With no artificial flavourings, colours or preservatives, free from gluten and less than 100 calories each, Little Moons’ mochi ice cream is perfect for those looking for some measured indulgence. Little Moons come in a box of six and are available to purchase in Whole Foods Market with a RRP of £5.99 and Partridges with a RRP of £6.95. Little Moons Mango, Matcha and Coconut flavours are available nationwide at Ocado with a RRP of £4.99.